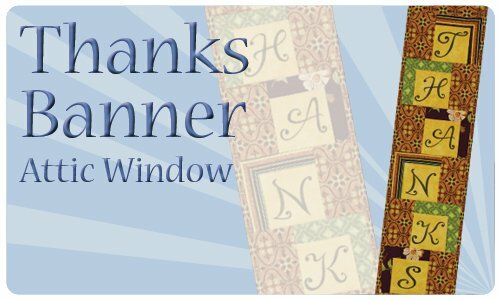 Supply your guests with slips of paper to share what they are thankful for this season. 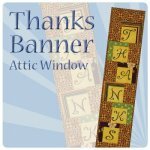 They can write, roll it up and tuck it in the window pockets of the Thanks Banner. 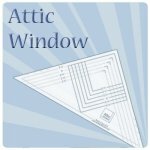 The 3-D Attic Window pattern makes it possible! Other events for banners include Birthday wishes, Christmas treats, or Wedding blessings! Make any event special with this fun project. Enjoy and thanks for being our loyal friends! 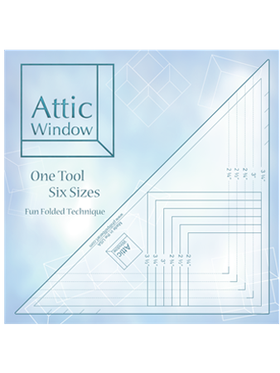 Requires the Attic Window Tool.